Our own label recently started to open it´s doors to other artists. We are celebrating it with a limited time offer: New World March and all related EPs plus the remix version = 40 tracks in high quality MP3 and/or AAC for 10 EURO. This offer is valid until 31 Dec 2012. This is meant as a "thank you" to everyone who made our comeback-year this great. Those of you who enjoyed and shared our music. Those of you who helped us with marketing and releasing our music. Those of you who did awesome creative works of visual art and sound for us. Those of you who visited and enjoyed our live shows. THANK YOU! Watch out! The next single "Let´s Drop Bombs" will be released in a few days, spontaneously and for free (pay what you want) on our Bandcamp site - including a PDF-booklet. Expect a "radio edit", an "extended remix", an unreleased track plus various remixers: The Horrorist, White Car, Amnistia, Cute Heels and People Theatre. Of course, this will be available on iTunes, Amazon, eMusic, Spotify and many more as well. A few weeks later though, but just in case you can´t live without them. We decided to make this happen NOW, so we can get it out of our heads and finally start to work on a new album. We started a poll on our Facebook page for what song from our latest Album "New World March" should be the new single. Most people voted for "Let´s Drop Bombs". There you go! We´re planning a video for it and of course remixes and at least one unreleased track. This will be the last release before starting to work on a new album. We want to thank all remixers, producers, writers and musicians who contributed to New World March! This goes to all of you who celebrated with us at our first show since 2008 at the E-Tropolis festival in Berlin. We already encouraged you on our Facebook page to shoot a video during the song "Penetration". We recorded audio at this show and are going to try and create a live video for this track. The realisation of this depends on the material we will receive. In case that it´s not working, we are going to give it another try at our forthcoming shows. Please, feel free to upload your footage. Bad sound? It doesn´t matter - we just need video. Only a short snippet? You´re welcome! First of all, a big thank you to everybody at E-Tropolis festival, especially those who joined us at our show! Good to see that there are still some ´jobbies around. This was just the beginning! We can now finally announce the release date of "New World March": 11-11-2011. Digital pre-order including lossless audio is available from now on. Those who pre-order will get a 5€ voucher for hau-shop.com (minimum order value: 29€) and immediate download of the song "Little World". This offer/ disount is valid until 31 oct 2011! You can, of course, also just listen & share. Once again, Christophe Dessaigne did an awesome job! Also, thanks to Stefan Alt who did the layout. New World March is finished and it´s currently in the hands of our mastering engineer! We want to thank all the contributors for their creative input, namely: Achim Färber, Andreas Meyer, Ben Lukas Boysen, John Jacobus, Liz Hanks & Matt Howden, Manuel G. Richter, Paul Kendall, Sebastian Ullmann. And for lyrical contribution: Joakim Montelius, Michael G. Stone & Susanne Thiele. Also a big “thank you” goes out to all the remixers, who contributed to the remix edition of the album, which will be released as a special 2CD package. The line up for the upcoming shows promoting the new album is now complete. Manuel G. Richter alias Xabec will join on stage. 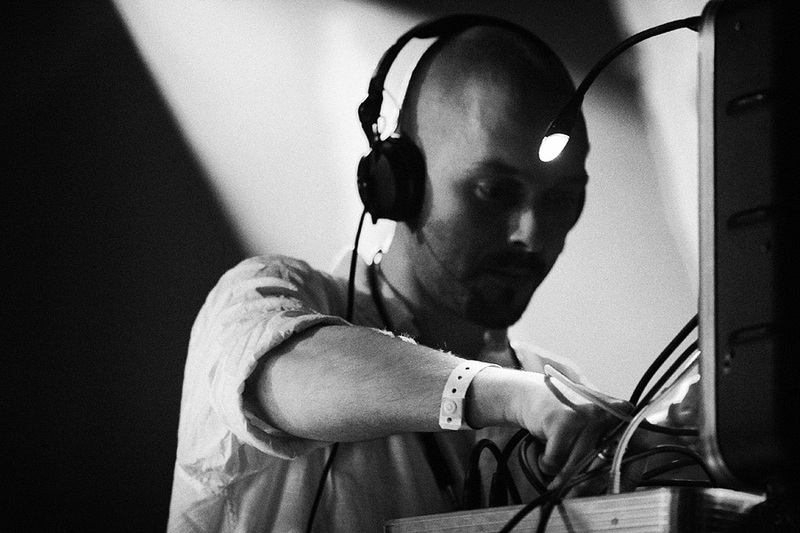 Manuel is well known in the international experimental scene with his Xabec project. He released a couple of albums and a DVD on HANDS. He worked as a producer for Anne Clark and wrote some of her currently most successful songs (Full Moon, Psalm und If). Under the name LeafAudio Manuel works in his own production studio and hosts audio workshops across Germany. Dead Market single/ep available for digital pre-order exclusively on bandcamp.com! in your choice of 320k mp3, FLAC, or other formats. A link to the complete ep, including a PDF-booklet and the official video for Dead Market will be emailed to you the moment it´s released. Release date: June 17th 2011. 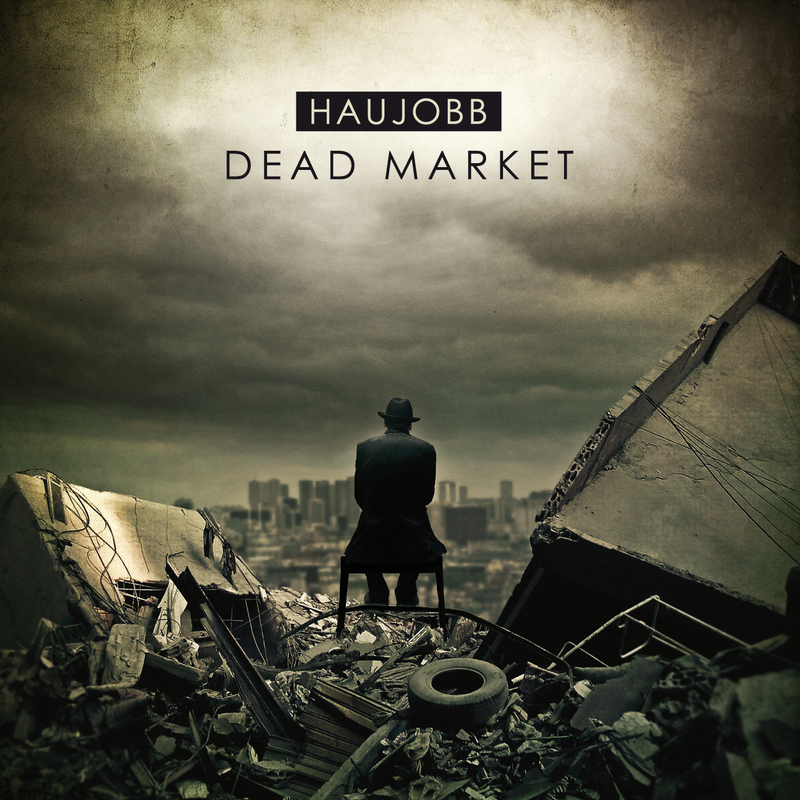 17 June 2011 - This is the release date of "Dead Market". One week earlier, on sunday, 12th June 2011, a special release-session will take place at the "Darkflower Alternative Club" in Leipzig - Germany, during this year´s "Wave & Gotik Treffen" (WGT). Start is at 18:00 CET. This session includes a preview of tracks from the forthcoming album "New World March", the world premiere of the official video for "Dead Market" & a "meet & greet" with the artists. We´re proud to present the official cover artwork for the single/ep and announce the tracklist. Absolute Body Control: "Downloaded the remixkit, the files work, excellent track by the way ..."
The Horrorist: "I downloaded all the files. The song is good... glad to work with it. I will definitely keep it analog sounding." Nomenklatür: "Wow dead market is huge man. 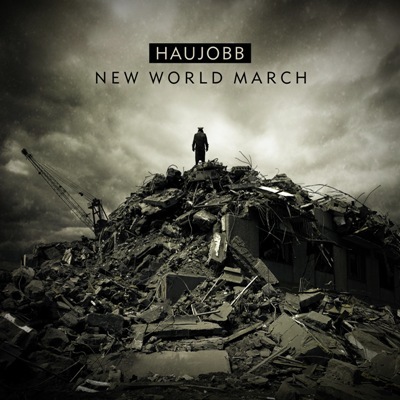 Terrific track, happy to mix it"
Due to Daniel´s busy schedule in 2010 the release of the new Haujobb album "New World March" will be delayed to 2011. Daniel had to finish the new Covenant Album "Modern Ruin" with his swedish colleagues. He also went on tour with Recoil in north america which lead to exciting collaborations: A few days ago the audiofiles of "Dead Market" were send off to Paul Kendall, who is currently mixing the song. Most likely "Dead Market" is going to be the first single from "New World March". Daniel and Dejan are putting the finishing touches on most of the tracks for the album right now. Haujobb are also returning to the stages of the world again: after 3 years of silence they will play their first show on 3. Sept. 2011 at the E-tropolis festival in Berlin, Germany. Let your local Promoters know, that Haujobb is back. Better. Stronger. Darker. Full stream of "Letting The Demons Sleep", which was done exclusively for the 4CD compilation "Old School Electrology Volume I" by Electro Aggression Records (EAR)/Cop International. For more information about this 4CD package visit http://myspace.com/electroaggressionrecords. After an inspiring puzzling behind dusty and always closed curtains Haujobb is now dedicated to the final work on the new album. The title as well as ten roughly mixed demo songs is curling through the data streets of their hardware and promising a new and somehow old sound together – a sound of analog synthesizers in combination with the mixing and the production techniques of the late eighties that is interfacing with recent elements and technological opportunities. The title is common and must not be named – however, it’s NEW WORLD MARCH.